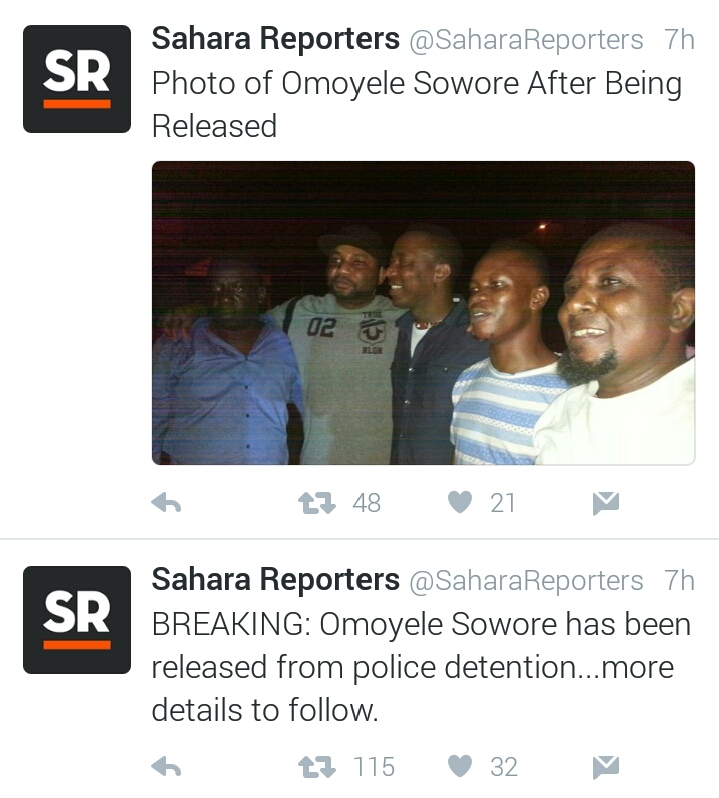 Founder and Publisher of SaharaReporters,Omoyele Sowore has been released from police custody. The online news portal stated this in a tweet on Wednesday night. One Lekan Fatodu, who described himself as a publisher, development advocate, social advocate, among others, had tweeted on Wednesday evening that he got Sowore arrested for criminal defamation, blackmail, and threat to life. Cavani offered €1 million bonus to allow Neymar to take penalties.